How to open , view and convert Camera Raw images : Before we proceed with to the main topic , lets know a little about Camera Raw . When you shoot photographs in Jpeg format , The photograph is actually captured by the camera in a uncompressed image format , which is actually the Camera Raw format . Camera Raw formats have a file size which is 2 t0 4 times larger than an JPEG file size . So in order to make the photographs storage efficient and portable , the Raw images are always converted and compressedinto a JPEG image . This process is same with all the image formats your camera can capture. Actually a JPEG Photograph is very much useless for post processing in Photo editing software . Which is why the people who created the JPEG file formatalso developed the Raw image format to bypass thelimitations of Jpeg . Depending on the megapixelcount of your camera , a single photograph taken in Raw format can occupy more than 20 MB of storage space or more . Although the size of Raw images are more , the Raw image file are capable of capturing larger range of colors in a photograph and also minimize the in camera processing at the same time .Today all the cameras available in the market are capable of Capturing photographs in their own Camera Raw Format , resulting in different proprietary Camera Raw file formats for different cameras . How to Convert Camera Raw images ? So the main problem arises that is , How to open and view these different Camera Raw formats on your Windows PC . 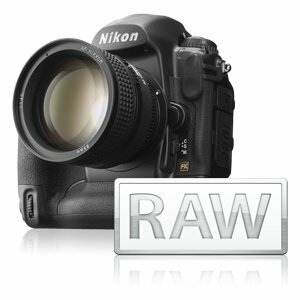 To help you identify various Camera Raw file types , here is a list of all Camera Raw file formats . If you want to open Camera Raw files on your PC then you can either useFastStone image viewer or Google Picasa . Both of these image editing programs are available as a free download . But i would recommend the FastStone image viewer over Google Picasa , because of its advanced editing features and also it a portable app, which can be used on any PC without the need of installing it. You can use both the programs to open , view , edit and convert Camera Raw photographs and images . Opening and viewing Camera Raw images is similar like opening and viewing any other image format . If you want to convert camera raw images , then you can follow these instructions below . Step 1: Download and install FastStone Image viewer . Step 2: Run FastStone Image viewer and navigate to the folder where you have stored the Camera raw photographs . 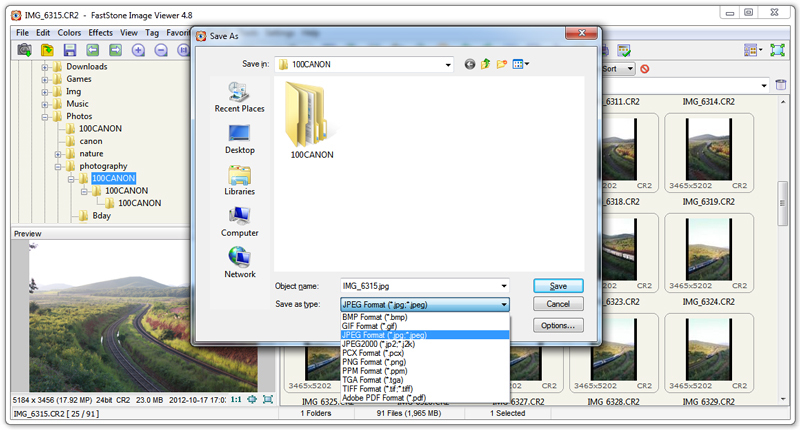 Step 3: Select a Raw photograph from the gallery and click on File >Save as . 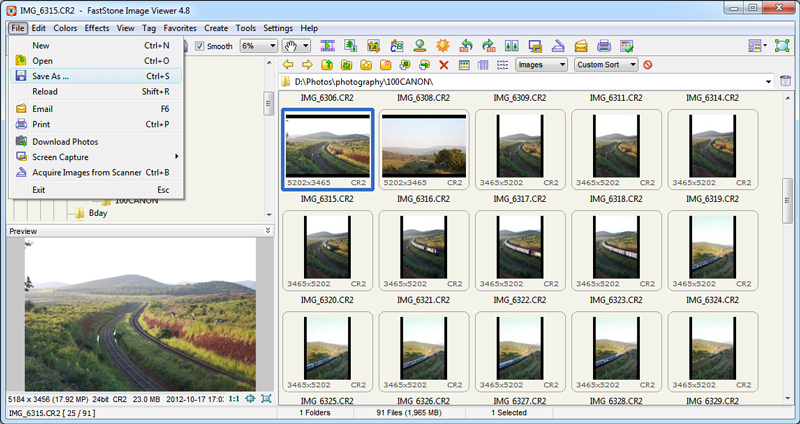 Step 4: Now you will have an option to save the converted Camera raw photograph in various formats . Click on save as type and select any format from the drop down list and click on Save to convert it .